The Harmony Company is excited to announce the new and improved label design for ImmPower: Active Hexose Correlated Compound (AHCC®) supplement that enhances peak Natural Killer cell function and supports other immune system activity. 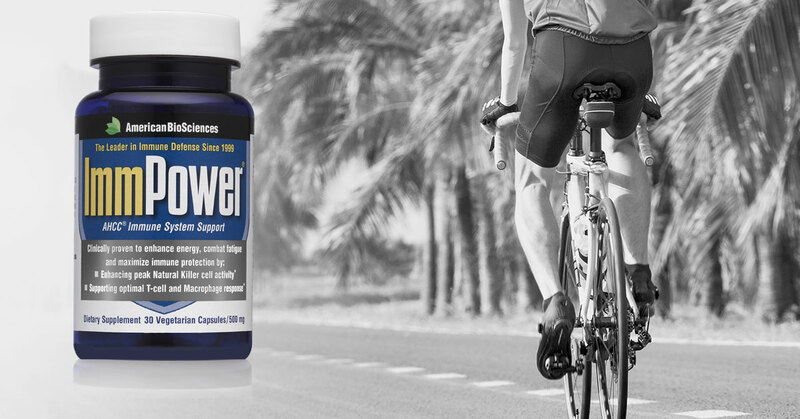 ImmPower has been the leader in immune defense since 1999 and is clinically proven to enhance energy, combat fatigue, and maximize immune protection. ImmPower’s label features many slight alterations while staying true to the overall recognizable design. One of the biggest changes is the color of the font on the product name, with yellow on the first three letters, “Imm,” and white text on the last five letters, “Power.” There is also a silver band that catches the light better than the previous dark gray band, and some of the wording has slightly changed. What prompted this product packaging change for ImmPower? Making a change to product packaging is always a big step, but we’re excited about the new look and we hope you will be, too. Here are some of the reasons why we changed ImmPower’s label design. Strengthen brand recognition: With this product packaging change, we hope to strengthen the brand recognition of this supplement. Strengthening brand recognition is particularly important for this product, as it is one that many doctors and other experts recommend to their patients. Aid in pronunciation: With the bright yellow text on the “Imm” of ImmPower, we hope to help make it easier for consumers to pronounce the name correctly. 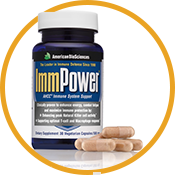 Many people, on first glance, tend to read it as “Immune Power,” but it is simply pronounced “Imm-Power” (akin to “empower”). Improve the shelf presence of the bottle: The new silver band on this label will catch the light better and give this bottle a better appearance on the shelf. Are you changing the product formula? No. Our celebrated Active Hexose Correlated Compound (AHCC®) is the same product you’ve come to know and love. It remains unchanged and you’ll find it to be as traditionally reliable as ever. There are still 30 capsules in a bottle, and each one is still 500 mg of pure AHCC. In the transition period while this label change is taking place, you may encounter a mixture of new labels and old labels on the shelf. Don’t be concerned; either product will work fine and the ones with the older label are well within their expiration date. Keep your Natural Killer cells, T-Cells, Macrophages, and immune function healthy with this standardized fermented mushroom extract that is rich in alpha-glucans. Order some today.